Review: The name Alfonso Cuarón, much like his other two compatriots Alejandro G Iñárritu and Guillermo del Toro, is so synonymous with the big budget Hollywood productions. This particular side of Hollywood is one that all of the three Amigos have dabbled in at one point in their careers,a nd all have achieved remarkable success in doing so, with some remarkable films. However, rather than continue on that trajectory for his next film, Cuarón goes much more personal and humane in his latest feature film, and once again, he has made something rather special. There is a beating heart at the centre of the latest film, but it is not Cuarón’s, it is that of his main character Cleo (Aparicio), a character loosely based on Cuaron’s own nanny as a child. 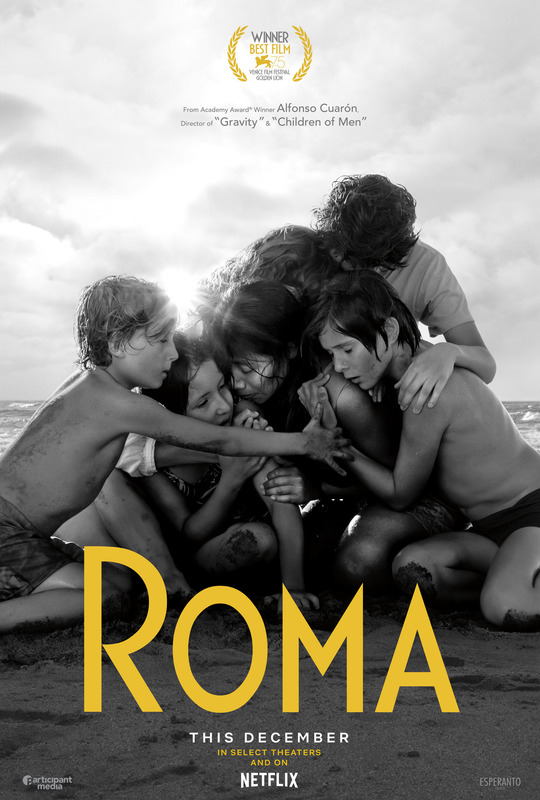 In many respects, this is a film is very much autobiographical as the events seen on screen are based on Cuaron’s own experiences growing up in the Colonia Roma district of Mexico City. Cleo’s life is very much grounded in the routine of her job, looking after the children of a wealthy middle class family, tending to the kids’ needs, and being that figure of support in . This is until a dramatic change of events turns Cleo’s life upside down, and ensuing turmoil in the area runs the risk of tearing her life, and the lives of this family apart. 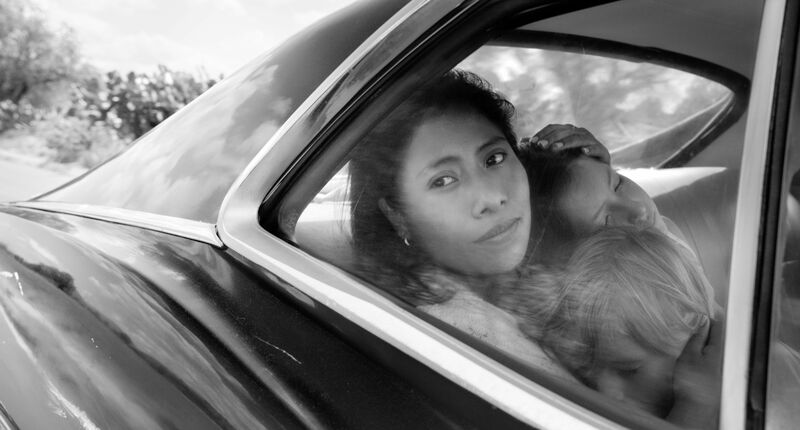 For someone who has never acted before, Yalitza Aparicio is nothing short of astonishing as Cleo. Her performance is so raw and emotional (as is just about every performance) that it feels like you are not watching a film, but real life, which in many ways you kind of are. With each scene, the work that must have gone on behind the scenes to recreate 1970s Mexico, and the way that Cuarón shoots these scenes brings such authenticity, as well as incredible humanity to this film. Granted, the pacing of the film can be a little sluggish at times, but there is a moment when everything changes. You will know it when it happens. Shooting entirely in black and white enables Cuarón to add a layer of authenticity to the events on screen, again capturing that affectionate feel to them, and grounding them in reality. Cuarón served as both cinematographer and director, and through it, his skills in both crafts to really come to the fore. It feels as though every frame here was worked on intensely like a rare exquisite piece of artwork, and it pays serious dividends. His direction is breath-taking, with a couple of one take moments in a few scenes that will just leave you speechless in shock, and will also likely to reduce you to a blubbering wreck. There are certain moments in life that just make you stop and think about the things that are most important to you, and Cuarón captures these moments with so much emotional weight. Going on this extremely emotional journey with these characters is one that everyone should experience, simply due to the profound impact that it should have on the audience. With Hollywood awash with prequels, sequels and the like, such rare and outstandingly beautiful pieces of art like this need to be watched, and above all, they need to be celebrated for what they bring to the medium of film. With an outstanding central performance at its core, Cuaron has crafted one of his finest films and something truly special in Roma. A personal and profound masterpiece.